How to set the baked potato function on my Electric Range (NE58K9500SG)? The Healthy Cook feature provides a healthier cooking method for cooking rice casseroles containing vegetables, herbs, chicken breasts, etc. Baked potato function is specially designed to bake potatoes or sweet potatoes. When using this function, you do not need to preheat the oven prior to cooking. The cooking temperature and cooking time depends on the quantity and material. 2. Press 2 on the number pad to select Baked potato. 3. The default temperature is 375 °F or 190 °C (depending on the temperature unit you are using). Enter the temperature you want to use on the number pad. 4. Press START/SET to begin cooking the baked potatoes. ➲ Default temperature: 375 °F or 190 °C. ➲ Oven temperature: 375 °F (or 190 °C) to 425 °F (or 218 °C). 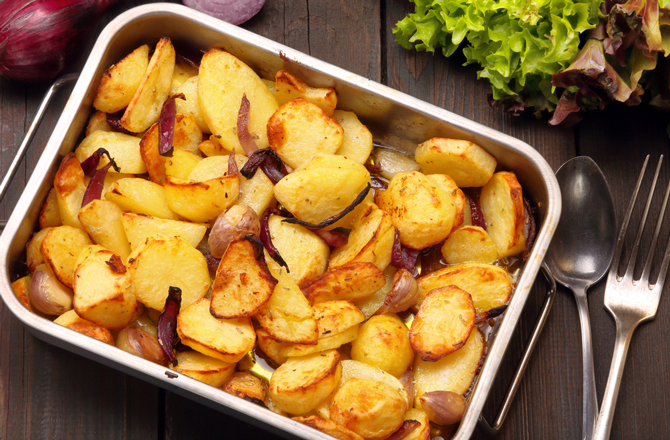 • Put 6 potatoes on a tray or baking dish. • Do not cut the potatoes in half. • Season the potatoes after cooking if desired.